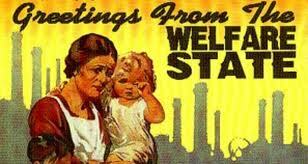 I’m proud of the Welfare State. More than that, I’m proud to live in a country which can count the creation of the modern Welfare State as one of its finest achievements. And I’m proud that one of its key founding principles in 1945 was to establish a safety net to end the ‘Giant Evil’ of want (or hunger). For the past 70 years, most of us have grown up safe in the assumption that if we fall on hard times, the welfare safety net will provide a cushion to prevent us becoming hungry or destitute.